In 1892, H.J. Chinnery of Winslow Hall provided a gymnasium for the youths of the town. It was of the same pre-fabricated, corrugated iron construction as the "Tin Tabernacle" which he build in Tinkers End. He seems to have bought the land, with access from the High Street, from the Selby-Lowndes family, probably as part of a redevelopment of that part of the High Street which was previously the "Townsend" of Winslow. 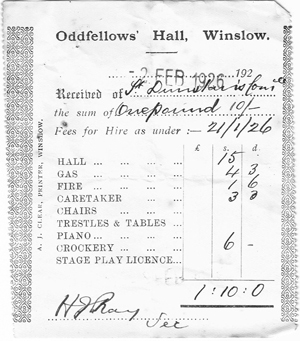 Mr Chinnery left Winslow when Winslow Hall was sold in 1897, but still owned the gymnasium, which he gave to the Odd Fellows in 1903 after the gymnasium club had closed. Norman McCorquodale, the new owner of Winslow Hall, offered to buy it from the Odd Fellows, but they refused. As the Oddfellows Hall, it then became the main venue in Winslow for public meetings, dances and showing films, as well as being the Odd Fellows' headquarters with their own war memorial plaque. The receipt on the right, signed by Hugh Ray the secretary, is for the hire of the Hall by the St Dunstan's Cup Committee in 1926. In 1945 it was bought by a committee representing the whole town, drawn from organisations such as the Women's Institute, Red Cross, Guides and Scouts, and the Welcome Home Committee. They raised the £600 required through a series of fund-raising events. 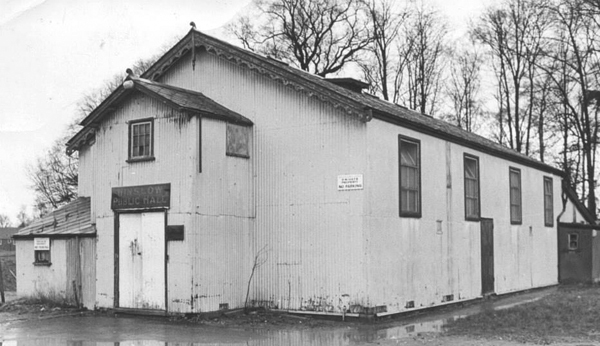 It served Winslow for another 30 years as the Public Hall before it was destroyed by fire and replaced by the present building, erected in 1977. 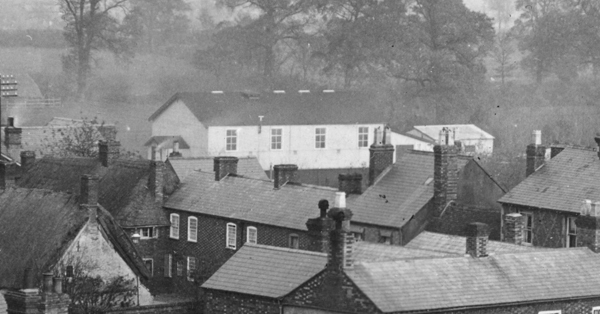 The photo below (from the collection of the late Ruth Hall MBE) shows a view of the gymnasium from the church tower, probably taken in the 1890s. The exterior of the building changed little until it burned down.